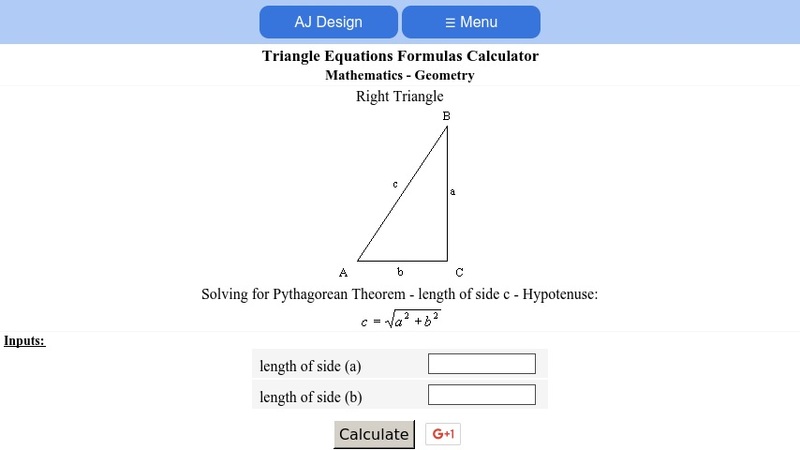 Solve various attributes of different types of triangles. Triangle types include equilateral, isosceles, right and scalene. Attributes include sides, angles, altitudes, medians, angle bisectors, perimeters, semiperimeters, areas, radius of circumscribed circles, Pythagorean Theorem, radius of inscribed circles.